Japan has a distinctive change of seasons and these seasonal changes add more beauty to Hokkaido. Clean air, blue sky, colorful flowers, undulating hills and the majesty of the mountains...there is so much more and it cannot all be mentioned here! In the spring, all the flowers start to grow and the hibernating animals wake up and get ready to be active again. 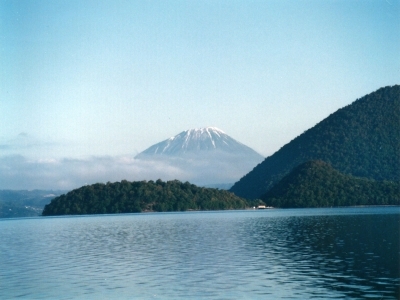 In the summer, Hokkaido is rather dry with low humidity, and the weather is usually very pleasant. In the autumn, while many delicious seasonal foods become available, the breathtaking autumn colors in the mountains are seen. In the winter, white snow covers the ground as far as the eye can see. This is Hokkaido where these four seasonal differences are gathered in one place. Hokkaido has a lot more to offer to visitors than its scenery, you can also try various activities to communicate with nature! There is no other place like Hokkaido, where you can do sightseeing, eating, playing and your will be satisfied to the fullest! The average snow accumulation in Sapporo reaches about 6 meters every year, which is the heaviest among large cities around the world. However, these conditions have never had any negative economic or social impact on the city and its two million citizens. With forest covering over 60% of the total area of the city, its coexistence with nature is what makes Sapporo so unique, giving countless opportunities for visitors to get out and explore the picturesque countryside abound with natural hot springs and ski resorts. Numerous cultural activities, shopping and wide variety of entertainment, alongside its famous Sapporo beer, fresh seafood, and delicious cuisine, there is plenty to experience in the northern capital of Japan. 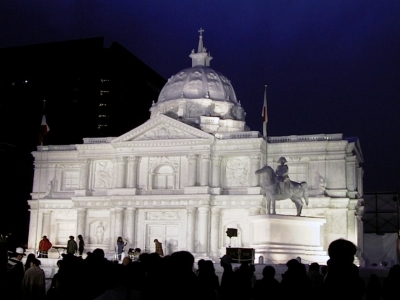 During the period of WOMA2015, you can enjoy "Sapporo White Illumination", which originated in 1981. Some 400,000 light bulbs are used at Odori Park to illuminate objects centered on cosmic and Christmas themes, illuminating Sapporo's winter nights with breathtaking artistry. Decorated with strings of lights, the trees along Sapporo Ekimae dori and Minami 1-jo dori are transformed into luminous, street-side curtains. Viewing the Munich Christmas Market in Sapporo (held from late November to late December) at Odori Park 2-chome is an added attraction that is popular with couples during the Christmas season, when the illumination continues until midnight. Hokkaido University is one of the main universities of Japan, and places importance on its graduate schools. The university started out in 1876 as the Sapporo Agricultural College, the first modern academic institute in Japan. It is rare anywhere in the world for a campus of approximately 180 hectares (stretching 2 km from north to south, and 1.6 km east to west) to be located in downtown Sapporo. Remarkably, the buildings cover a mere 12% of this extensive campus, with the remaining rest consisting of open spaces such as farms, green spaces, forests, creeks, and pathways. These spaces include many woodland areas as well as architecture dating right back to the time of Sapporo Agricultural College, the predecessor of Hokkaido University. As such, the Hokkaido University campus assumes an important role as a spine of green space as well as a water system in Sapporo, and functions as the 'lungs' of the city. Often voted the most beautiful campus in Japan, the Sapporo campus is stunning throughout the four seasons, attracting tourists from all over Japan as well as from overseas. The temperature in the day time is around 5 degree Celsius, and goes down below freezing in the morning and evening. Please prepare warm cloths and shoes for walking icy or snowy roads.